New York Comic Con is this weekend and I am bummed that I can't make the trip to the Big Apple. This is on my bucket list of conventions to attend and hopefully I will attend it before it gets too big. An interesting note that may or may not impact SDCC next year, is the plan to empty the main hall after each panel. Fans will get wristbands for specific panels and then line up 35 minutes before the panel begins. I am curious how quick a hall that seats 3,000 can be emptied and filled back up, but feel that if NYCC can do this well then it could be the solution to camping out issue that SDCC dealt with last year. Anyhoo, great week for Image Comics. Given the recent growth that its had lately and the A-list talent that is developing new series for Image, it is a great time for fans and creators alike. 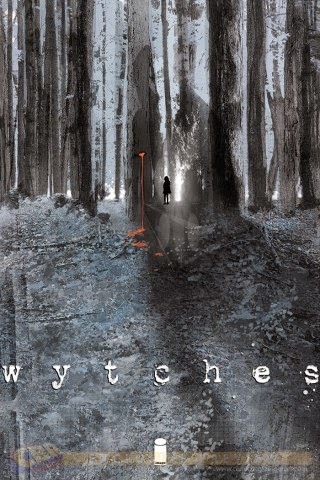 Wytches #1 - Scott Snyder and crew (Jock, Matt Hollingsworth, and Clem Robins) are onto something special. While the comic was exceptional on its own, Snyders insight as to the inspiration of the title and how personal it is made it feel extremely special and intimate. Snyder has a good track record on the horror genre (American Vampire, The Wake) and Wytches takes it to an entirely new level. The witches of this tale live in the woods and seek pledges for favors. Sailor Rooks (the troubled teen at the center of this tale) and her family have some sort of connection to these witches and the world of magic and it isn't pretty. Jock, Hollingsworth and Robins immerse the reader in this world that switches from the mundane to the horrific at ease. The results are the moments when you jump out of your seat and have that split moment of terror. Perfect reading for October. 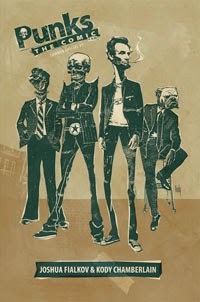 Punks: The Comic #1 - As someone who hit his "punk" phase later than most and was more poser than a real punk, I am left confused with this title. It was a fine read, but did absolutely nothing for me. Image is allowing its creators to push the boundaries of what a comic book should be and that should be applauded. There are some people who probably quite enjoyed this title, but I was not one of them. Maybe if I were a real punk and my store had Mojo Nixon then I wouldn't think this title needed any fixing. 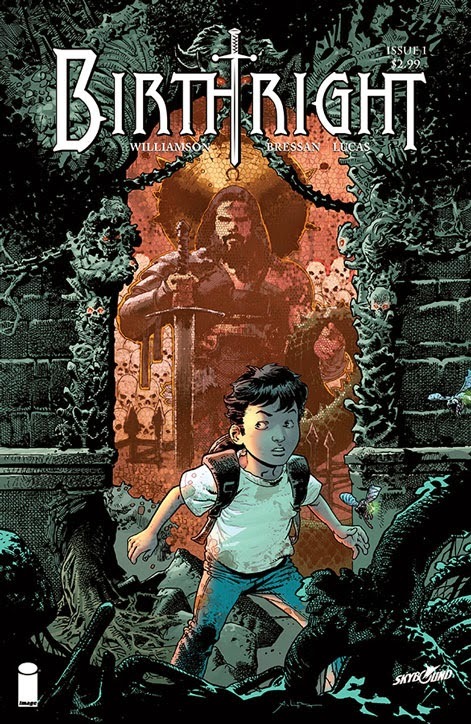 Birthright #1 - The time to jump on the Joshua Williamson bandwagon is now. If you missed Ghosted and Nailbiter (you should pick up the trades) you have the opportunity to get in on the ground floor with this title. The premise of the title, without spoiling anything, revolves around a boy named Mikey who vanishes in the woods after playing catch with his dad. Over a year later a man who is much older, claims to be Mikey. Dressed like someone from your local LARPing group, he claims that he was brought to a fantasy world because he was the chosen one. Andrei Bressan (co-creator and artist), Adriano Lucas (colorist) and Pat Brosseau (letterer) team up to produce a beautiful book that effectively captures the emotions of losing a child. Emotional, exciting, and intriguing. Batman #35 - Another new arc is upon us and I am once again reminded how paranoid Bruce Wayne is. 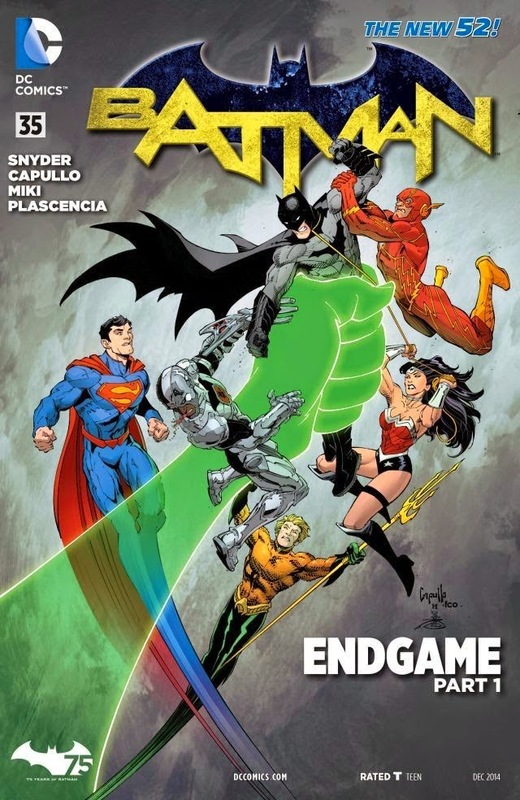 We begin what is entitled Endgame, and learn that the Justice League wants Batman dead. Why would they turn on their friend? Who could possibly be behind this devious scheme? While the plot is Batman 101, I love seeing the lengths that Bruce Wayne goes to in order to cope with his paranoia. I guess when you have no super powers and you surround yourself with a bunch of supers you worry that at some point at least one of them will turn. My favorite item in this issue is called the "blind of veils" and it is woven by Hephaestus after he made Wonder Woman's famous lasso. The thought of Bruce Wayne packing a wool blanky inside a Batsuit is just too great. Snyder knows what he is doing and I look forward to where Endgame goes. As a bonus the short story from James Tynion IV at the end is extremely well done. A horrific tale about the rebirth of the Joker. Worth the price of admission on its own.